Blaire Briody is an award-winning journalist who has written for The New York Times, Popular Science, Popular Mechanics, Fast Company, Glamour, among others. 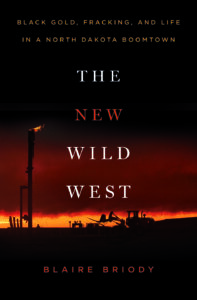 She’s the author of the narrative nonfiction book, The New Wild West: Black Gold, Fracking, and Life in a North Dakota Boomtown (St. Martin’s Press/2017), which was the 2016 finalist for the Lukas Work-in-Progress Award from Columbia Journalism School and Harvard’s Nieman Foundation. She received the Richard J. Margolis Award for social justice journalism in 2014, and she graduated from the University of California, Davis with a degree in international relations.